(New York, NY – Oct. 11, 2017) – God’s Love We Deliver, the New York metropolitan area’s leading provider of life-sustaining meals and nutrition counseling for people living with severe illnesses, is partnering with The Ear Inn, NYC’s oldest bar, to celebrate the establishment’s 200th anniversary by raising enough funds to feed its lower Manhattan clientele for an entire year. On November 11, 2017, The Ear Inn will host a block party for the community that will include live music, food and more to feed all of God’s Love We Deliver’s downtown clients which would total 35,000 meals for the year. By joining together, these iconic downtown institutions will create a once-in-a-lifetime opportunity for the community to feed thousands of their own who are living with severe illnesses. Brands, businesses and individuals can sponsor the event which is expected to draw thousands. The cost to prepare and deliver 35,000 meals is $350,000 which is the fundraising goal of the event. God’s Love We Deliver serves 1.7 million meals annually throughout all five boroughs of New York City, Westchester and Nassau Counties, and Hudson County, New Jersey. In September, the organization celebrated cooking and delivering its 20 millionth meal. The 200th anniversary of The Ear Inn personifies the commitment both establishments have to NYC’s downtown. Local artists will participate in the festivities and games for kids will be organized by the Downtown United Soccer Club. There will be a commemorative book available for purchase that will feature ‘characters’ of downtown. P.S: If you would like to share this link with your online social media community, please hit the share button on our charity page. 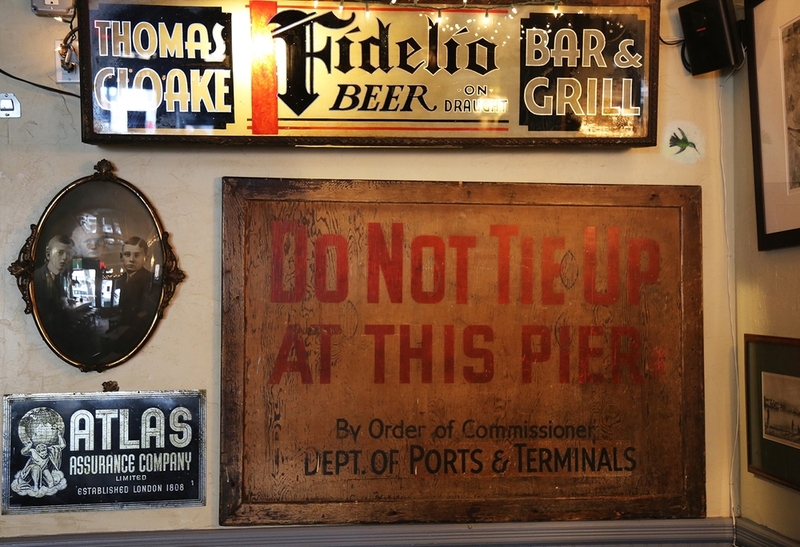 We are the oldest bar continually serving alcohol, Even prohibition didn't stop us! We are best known for our burgers, but that is only the beginning! We use only the freshest of ingredients in all of our dishes and absolutely nothing is deep fried. Our daily lunch and dinner specials are listed on our chalkboards around the restaurant. Three nights a week, the Ear inn is blessed with live music from some of the most talented people in the game.